MD5 Checksum Tool is a free and easy to use Windows OS application designed to allow users to generate the file checksum (MD5/SHA hash) of a file or string. It can be particularly useful to check if an executable (.exe) file is legit, in other words, if it is the official release from the offical author. The file and string hashing algorithms supported are MD5, SHA1, SHA256, SHA384 and SHA512. Best free tool to compute MD5SHA file hash. It is possible to scan all files inside a folder (and sub-folders) and create a report with file checksum (MD5SHA) of all files, with filename and file size, that match your search criteria. The output format is easily customizable through pre-defined variables. You can also compare a file with an MD5 hash, compare two files to know if they are different and generate hash of a string. Compute MD5 or SHA-1 cryptographic hash values for a file or text string. 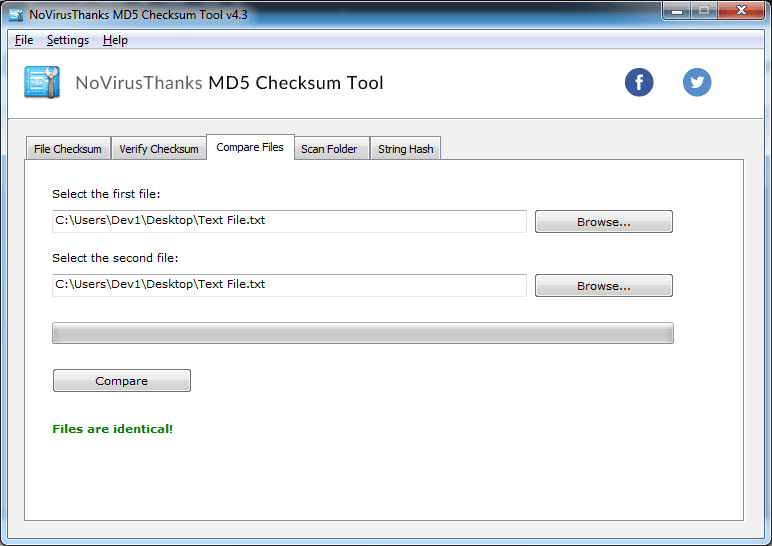 This tool can calculate the file checksum also of big files of 4GB+ in file size. You can calculate file checksum through the Windows explorer context menu. Very fast file checksum generation with progress bar indicator. Support MD5, SHA1, SHA256, SHA384, SHA512 hashing algorithms. 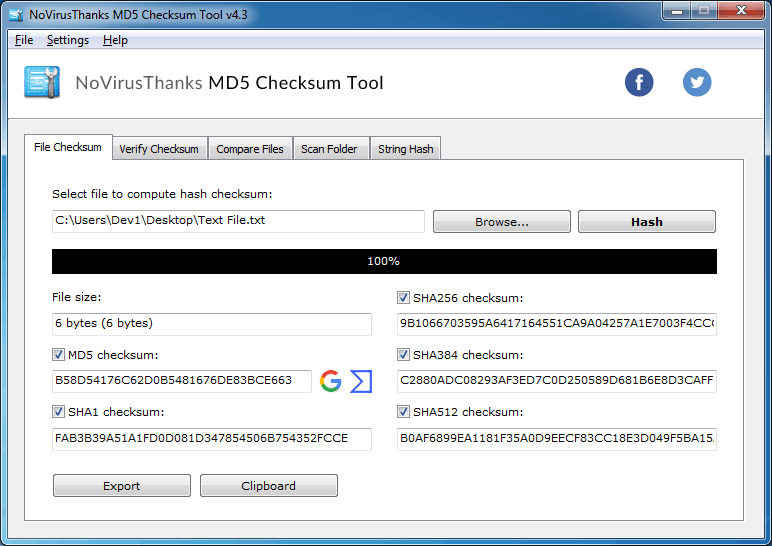 Verify the file checksum integrity comparing a file with an MD5 hash string. You can easily compare two files to check if they are different or same. Scan a folder recursively and compute file checksum on all files found. Create a file checksum report of all files present inside a folder.